WHAT IS CONNECT TO CELL? Missed calls thanks to a misplaced cell phone at home? 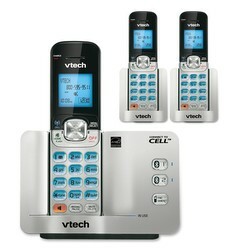 Not anymore with a Connect to Cell system from VTech. By leveraging Bluetooth® wireless-enabled technology, Connect to Cell makes it possible to place and receive cellular calls through a home phone system. Plus, by downloading your cellular phonebook directly onto the handsets, you'll have quick access to all your contacts from any room. Pair your cell phone using Bluetooth® wireless-enabled technology and enjoy cellular calls with all the comforts of a home phone system. 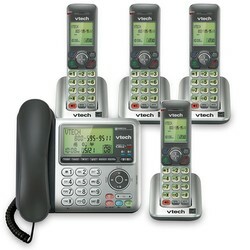 Connect to Cell phones feature a key for your cellular number and another for your landline, so you can use both on one system. Cutting back on landline costs doesn't have to mean skimping on landline quality. Since Connect to Cell technology works with or without a subscription to your local telephone company, it's perfect for cellular only households, too. Connect to Cell technology eliminates signal dead spots at home. Just place your cell phone where reception is best and enjoy high-quality sound and strong coverage throughout your house. The only thing you'll see drop is the number of interrupted calls. Have a hard time remembering phone numbers? With Connect to Cell. you don't have to. Pair hundreds of names and numbers from your cellular phone and always have all your contacts on hand. * Use of Caller ID feature requires a subscription to Caller ID services available though your local telephone company. 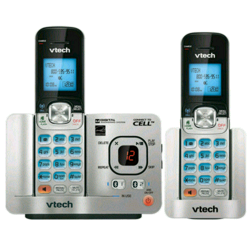 Connect to Cell™ is a trademark of VTech Communications, Inc. 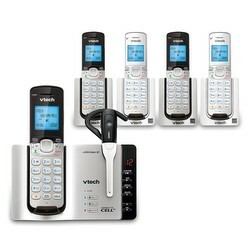 The BLUETOOTH® wordmark and logos are registered trademarks owned by Bluetooth SIG, Inc. and any use of such marks by VTech is under license.